Brent Thomas Williams, Principal Investigator for Arkansas PROMISE, took part in a panel discussion during which he explained how the Arkansas PROMISE program will provide paid work experiences for teens with disabilities. The panel focused on how programs such as PROMISE could be implemented on different scales ranging from small communities to entire countries. 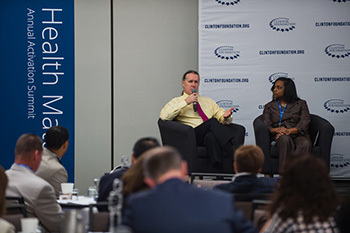 Dr Williams spoke to the Clinton Foundation’s recent annual Health Matters summit in California. The video linked below was produced for the event and was featured just before the panel discussion.